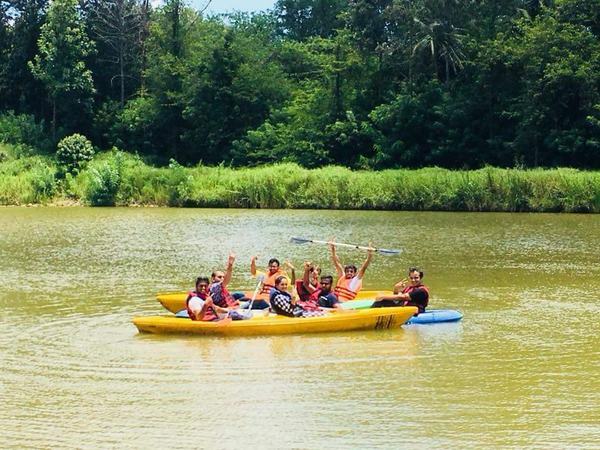 Urban Valley is a lakeside resort offering an exciting range of aqua adventure activities. The resort offers serene accommodation alongside water activities spanning adventure and leisure activities. The resort is located near Art of Living's Panchakarma Yoga Ashram in Voderahalli which is 5 minutes off Kanakpura Road -NICE road intersection, takes 45 minutes to drive from Bangalore. All activities are supervised by internationally certified instructors of Ace Paddlers, who adhere to international safety standards and practice and also state of the art equipment. Activities are also open for beginners, non-swimmers, and kids above 5years. We like to share our passion for water sports with you so you will have a great experience during your stay at Urbana Valley.